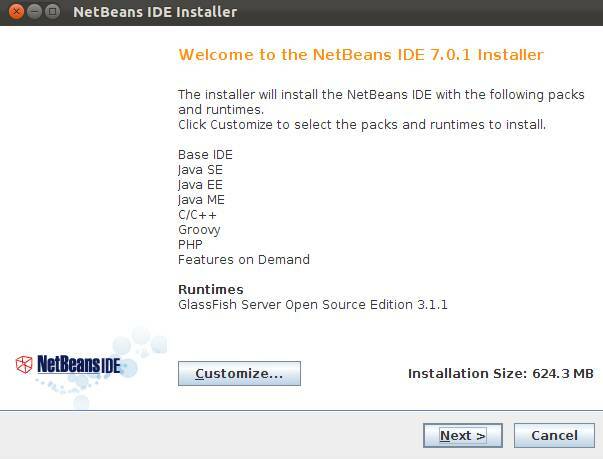 NOTE: JDK 6 is required for installing and running the Java SE, Java EE and All NetBeans Bundles. 1.Go to Netbeans download page and download the netbeans Linux (x86/x64) .sh installer file (like netbeans-7.0.1-ml-linux.sh). 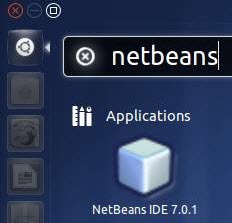 After the successful installation,click the Dash home from unity launcher.And type netbeans in the search field.And click Netbeans IDE 7.0.1 to open. It doesn’t work for me and I follow the instructions carefully. The GUI in step 7 never shows up. Nothing happens. thank youuu so much .. Thank you,,it help me a lot.. I want to access windows share files to edit in netbeans anybody has solution for it? VlW mesmo!!! sua dica resolveu meu problema. tudo de bom pra vc. Abraço. thank you so much!I tried several other commands to install Netbeans, but ended in vain. but your post helped me ! THANK YOU! Thank you very much …you have done a great job, the guide works very will I got Netbeans working on my ubuntu11.10. so thank you very much. Maybe you could also explain why this works and just double clicking doesnt! Of course, chmod is the key – but newbies will thank you more! Thanks, it worked with no problem! very easy to follow. this article help me so much thumbs up to the person who post this article. can we create the desktop launcher for it ? if yes the please mention the steps for it. Please also mention the steps for removing it either manually or through synaptic package manger. is it a good idea to install netbeans in /home so that we can have permission control over the files? Thankx for the help.It worked perfectly.